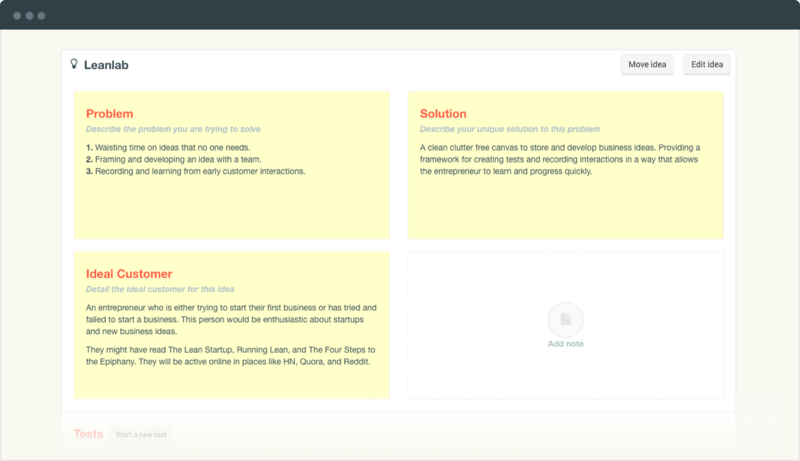 Leanlab helps individuals and teams organise and develop startup ideas. 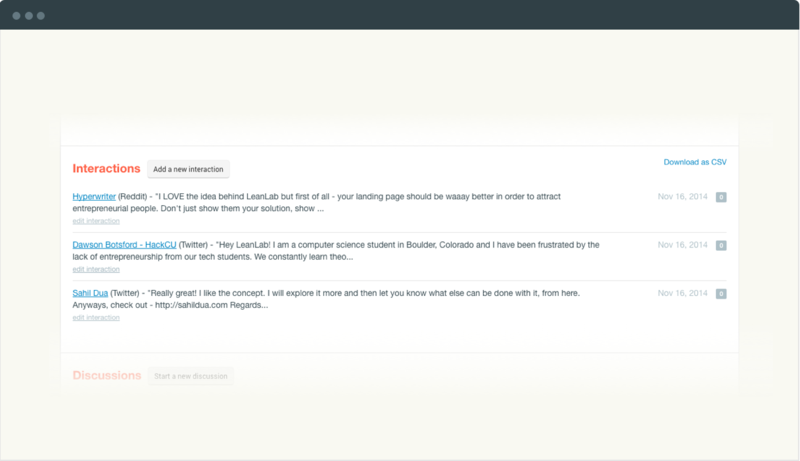 Share notes, list assumptions, record interactions and discuss everything. Never forget another startup idea - access it anytime, anywhere. Leanlab is a clean clutter free space to store, develop and discuss your ideas. Expand and develop ideas by adding notes. Notes will help you refine and express your ideas clearly. Define a sequence of tests to highlight critical assumptions. Tests will help you focus on the key elements of your idea that need to be true if it is to become a viable business. 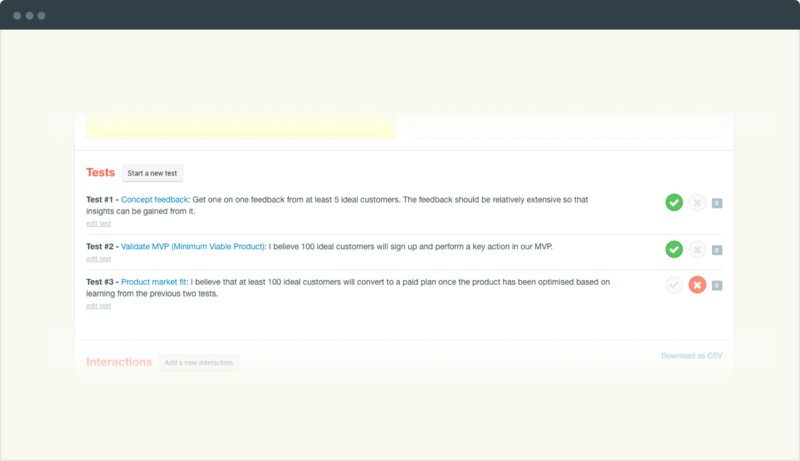 Store feedback from multiple sources in one place, share conversations with your team, and learn from your customer interactions to forge a better business. A clean clutter free canvas to store and develop all your business ideas. Kind words from some of our followers and members. @leanlab_io Signed up, didn’t see the usage, left. Then I talked to a friend & wondered where I could store her feedback. Customer earned! @leanlab_io is a great idea. During Gold Rush merchants that served rushers made more money than rushers. Same might happen in this "rush." 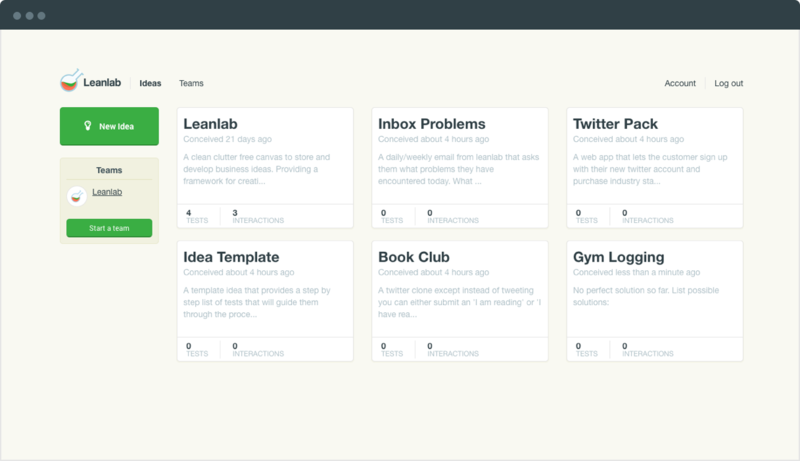 LeanLab's current features are free to use – forever. Premium plans with more features coming soon ! We have everything you need to start experimenting with Leanlab.